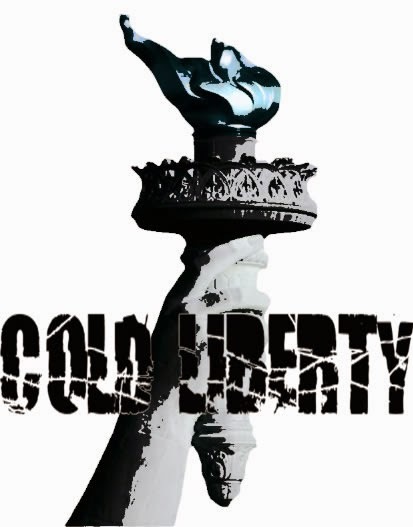 This is the Logo that we all decided on, combining a font that found and likes with the statue of liberty since it links to our name. We also made the flame light blue to represent ice, which again represents the cold part of our name. We wanted to try and link to logo to name as much as possible so that when people see the logo it will make them instantly know who the band is.